Black Box Network Services EMEA announced in the Kingdom of Bahrain a new partnership with Oregon Systems, an IT&T solutions Cisco Gold Partner in the Middle East. The alliance will facilitate the provision of the best-in-class ICT solutions for customers throughout GCC countries. Black Box Network Services EMEA appointed Oregon Systems as a distribution partner to deliver its complete range of KVM, audio/video, IT infrastructure, networking, and datacomms lines of products and solutions. The new partnership aims to bring the combined expertise and know-how of both Oregon Systems and Black Box to customers in the Middle East region. The rapid development in the Middle East region has created a large need for efficient and effective IT systems in new facilities as well as in upgrades for existing systems, since high technology clusters in the region demand state-of-the-art solutions. “This alliance will provide the region with high-quality products delivered by highly trained service specialists who design, specify, deploy, and manage complex ICT solutions that meet the needs of almost 100 corporate and public sector customers,” said Gerardo Grasa, Black Box’s channel sales director in the region. Oregon Systems is a systems integrator in the Middle East region with its main HQ in Bahrain, and offices in Dubai, Abu Dhabi, and Saudi, and is a Gold partner of Cisco in the region. 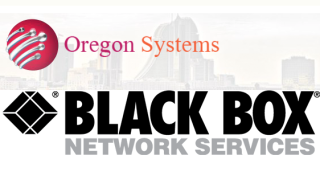 Oregon Systems will sell the Black Box broad line of products for IT network connectivity, ranging from copper and fiber cables, racks, and cabinets through to signal converters, PC extenders, and KVM switches, as well as matrix switches for enterprise solutions.